Many of the most important and powerful cities in the world are built close to the ocean. The reason for this is that in days gone by trade revolved around sea routes, and travelling vast distances was predominantly done by ship. With the advances in modern transportation we do not have to stay as close to water as in the past, however everyone wants to. Cities that have beautiful beaches are often the most populated in the world and the most expensive to stay in. You have easy access to the beach, you can go often and when it gets dark you head to the bright lights of the city to sip on a frothy cappuccino or a delicious cocktail. Grab your sunscreen and beach ball and take a look at our top beach cities around the world. Island paradise, coconut and pineapple cocktails, surfing and long unspoilt sandy beaches are what come to mind when one thinks of Hawaii. Hawaii has something for everyone: gleaming white sands, clear-waters and arguably the best surf in the world. The problem with Hawaii is one cannot decide where to go on the island, because there are so many beautiful places to choose from. 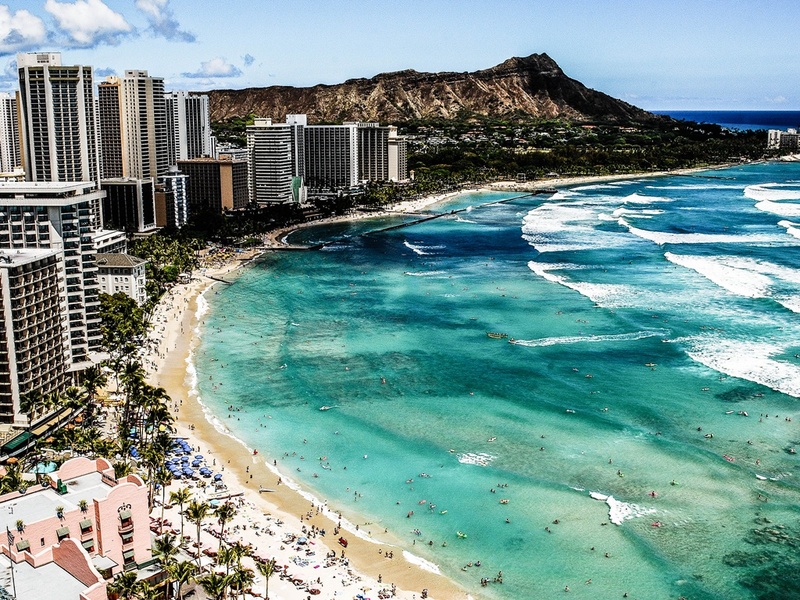 For a beach holiday that is coupled with a trendy city vibe, look no further than Honolulu. Honolulu has many different beaches to choose from, Kaimana Beach, Kahala Beach, Hunakai Beach and the world famous Waikiki Beach are some of the pristine beaches that are situated around the city. 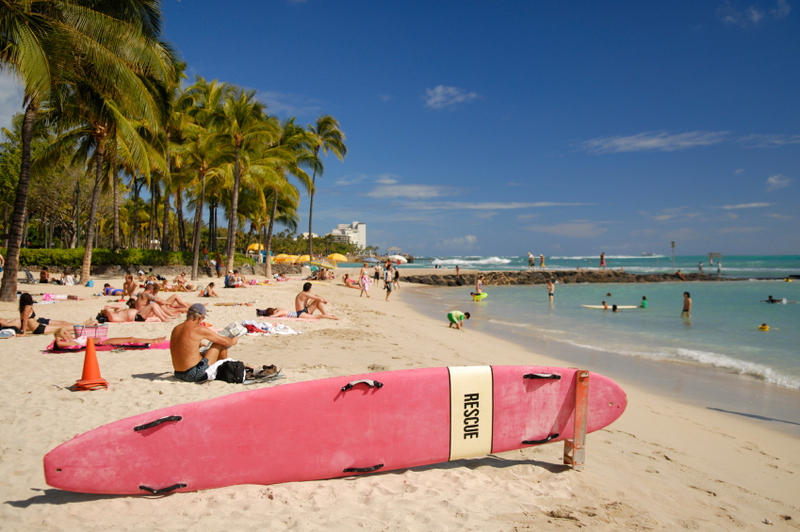 Once the playground of Hawaiian royalty, Waikiki is the most popular beach in Honolulu today. The beach is made up of a 2 mile stretch of white sand and palm trees that is jam packed with locals, tourists and surfers. The warm water is ideal for swimming and the waves are perfect for beginner surfers. Head to the Royal Hawaiian to relax under an umbrella, while live music entertains you or head to any of the Island’s trendy bars to drink some local rum, either way, you will not be blamed for forgetting that you are in fact in a city. That’s what makes Honolulu so special; it brings the island lifestyle to the city. Barcelona is regarded as a cultural destination by most. The Sagrada Familia, Casa Mila, Montjuic, Barcelona Cathedral and Gaudi House Museum are among the many architectural, historical and cultural tourist attractions in Barcelona. The Catalan city, however also has one of the longest beaches on the warm Mediterranean ocean in all of Europe. The city boasts over 2.5 miles of stunning white-sand beaches. After the city was chosen to host the 1992 Olympics, billions of Euros were spent to upgrade the once neglected seafront. Barceloneta is Barcelona’s main city beach. Situated close to the city centre, the 1km sandy beach is popular among joggers and cyclists, and it boasts some of the best seafood restaurants in Barcelona. Bogatell is Barcelona’s laid back beach, where you will find families and older people relaxing, while the Nova Icaria Beach is where you will find the younger crowds, here the party never stops. With the sun only setting around 10pm during the summer months, you can visit all of the cultural and historical attractions during the day, after which there will still be enough sunlight for you to go and relax on the beach, while sipping on a cocktail until the sun goes down. When one thinks of Rio one thinks of parties, beaches, sunshine and beautiful people, the city might as well have been one massive beach party. With images of Rio during the recent 2014 FIFA World Cup still fresh in our minds we had to include this beautifully diverse city. Two of the most famous beaches in the world are in Rio. Songs, movies and plays have been dedicated to the Copacabana and Ipanema beaches. The Copacabana is situated right in the centre of Rio de Janeiro; it is probably the most famous city beach in the world. Copacabana is around 4 kilometres long with massive skyscrapers lining the one side of the beach and the Atlantic Ocean the other. Ipanema has two beautiful mountains peaks called the Dois Irmãos overlooking it. This beach is situated right next to the Copacabana and they have a very similar atmosphere. The sidewalks of both beaches are lined with plenty of hotels, restaurants, shops, bars and nightclubs. 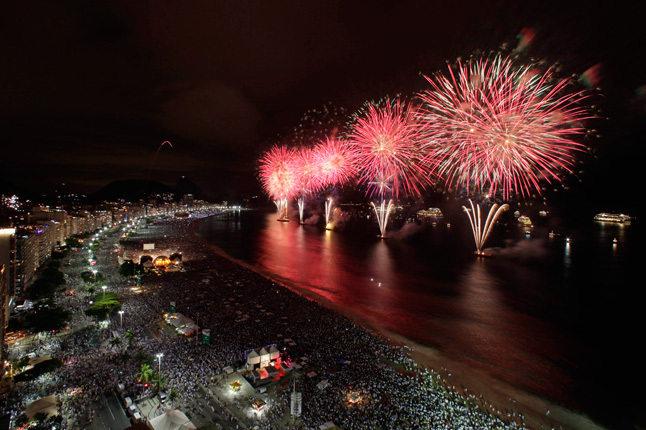 There is always a party going on at Copacabana and Ipanema day and night. With all there is to see and do in Rio you will need to have a place to relax and cool down. Luckily the city has two of the world’s best beaches right on its doorstep. Most people forget that San Sebastian is a large city because the name has become synonymous with the beaches around it. San Sebastain is home to one of the most beautiful city beaches in the world, the Playa de la Concha. 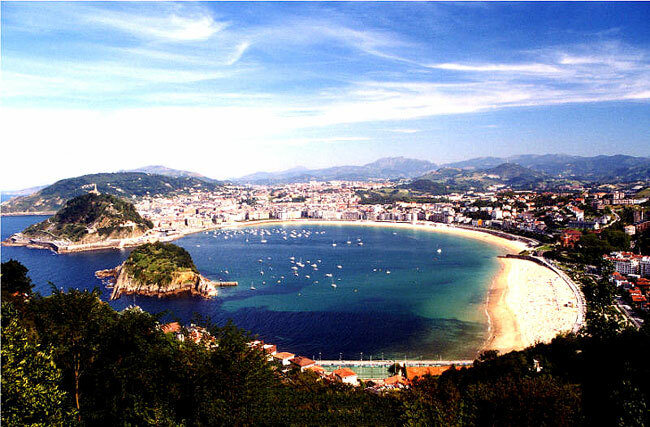 This beach is the most famous and most popular beach in San Sebastian. It is a long golden brown sandy beach, situated right on the edge of the city. San Sebastian’s most famous attraction is the beach but there are many other sights to see here. Parte Vieja, the old town, is where the popular pintxo bars and restaurants are located. For the history buffs, the best preserved historical buildings can also be seen in the old town. The fishing district of San Sebastian is the Centro Romántico. Here you will find amazing seafood restaurants at which to eat and beautiful 19th century buildings at which to marvel. One of the smaller beaches of the city is the Playa de Gros. This beach is smaller than the Playa de la Concha, but it is more popular among locals and surfers. This beach is where surfers come to catch a wave after work; it’s a great alternative to the larger, busier beach in the city. 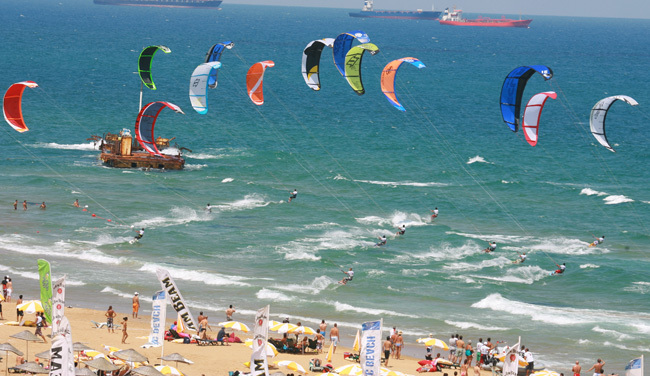 The best way to see the main beach and the city is from Monte Urgull. When you reach the top you have an unrestricted view of the City from the foot of a statue of Christ that was erected there in 1950. After the walk up Monte Urgull, head to the beach where you can cool down in the water and relax on the sandy beaches of San Sebastian. The Mother City is fast becoming one of the most popular tourist destinations in the world, what’s not to love? The city has one of the seven natural wonders of the world dominating the skyline, trendy restaurants and bars lining the streets and three or four of the most beautiful beaches you will ever see, just a couple of minutes away from the city centre. 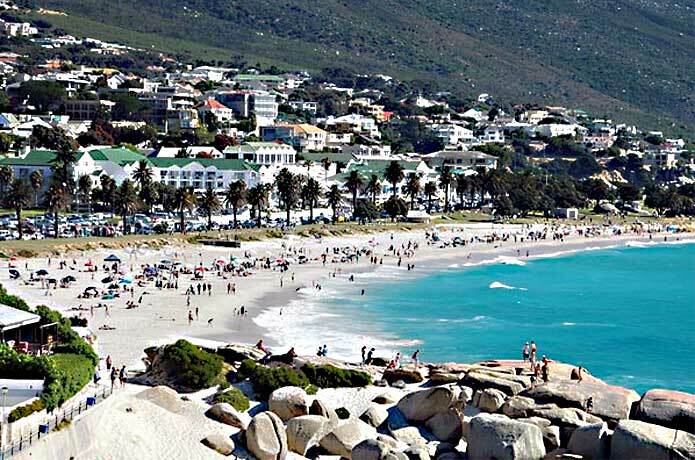 Clifton Beach is the trendiest beach in Cape Town; it’s the place to be seen. Clifton is a series of four beaches that are separated by huge granite boulders. Camps Bay, just around the corner from Clifton, is where the most popular beach bars and cafés in Cape Town are situated. Here people come to watch the African sun set, while sipping sundowners under the shade of Table Mountain. Llandudno, which is just a couple of kilometres from Camps Bay, is where the locals hang out. It is the perfect beach for sunset picnics and it produces some great surf. Cape Town even caters for nudists. Sandy Bay is Cape Town’s local nudist beach. Here you can strip down to your birthday suit and go for a swim or tan every inch of your body. All of Cape Town’s beaches offer beautiful views of the surrounding mountains and when the sun sets in the west, there is no better place to be than on the beach. One of the things Australia is known for is scorching temperatures. Quite a large percentage of the Australian Mainland is made up of desert and semi-desert landscapes. This climate is what makes Australia such a beach loving nation- people need to cool down. There is another thing that has made Australian beaches so popular besides the heat, the surfing. You will find some of the best surf spots in the world in Australia. One of these spots is Bondi Beach. Sydney is flanked by dozens of beaches, the closest to the city centre and perhaps the most famous beach in Australia is Bondi beach. 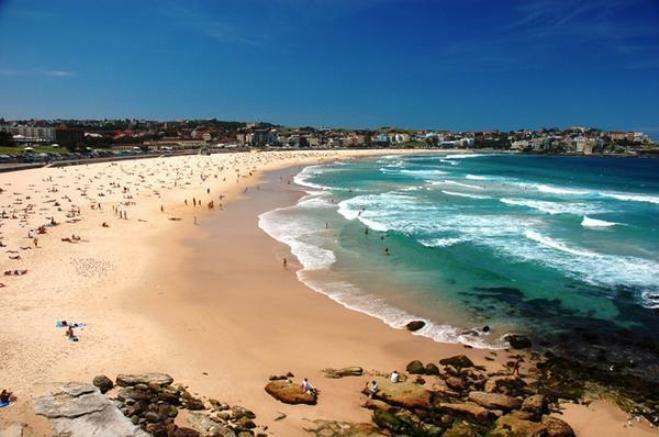 The beach is a 1 kilometre long stretch of paradise, with golden sand and warm water just 20 km from Sydney’s city centre. This beach has become the symbol for Australia’s laid back living and beach loving lifestyle. Jam packed cafés, restaurants, and bars line the promenade next to the beach. Apart from the beautiful people and great surf, Bondi is also known for having whales during the migrating season and an occasional shark attack. There is an underwater shark net in the bay just off the beach, which keeps out the Great Whites that swim along the Australian coastline. If you’re lucky enough to visit Sydney from May to early October, head to Bondi beach where you might be able to see a passing whale or two. This is a story that could only have happened in the USA. South Beach, Miami, was once a seedy place where crime was rampant. Hotels stood mostly vacant and local residents stayed indoors at night. Then one of the most popular TV shows in history started, it was called Miami Vice. The TV show’s popularity in the 80’s launched the rebirth of Miami and especially South Beach. Today, South Beach is where the rich and famous come to play. 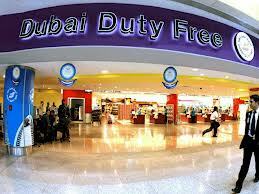 The area is known for trendy restaurants and nightclubs, exclusive fashion stores and exotic cars. Only in the USA, right? Biscayne Bay separates Miami from the barrier island that is Miami Beach. Miami Beach is a 9 mile long stretch of sandy Atlantic beach, some say it is a city unto itself. The best way to experience Miami Beach is to start your day on the beach, like the locals do. The day starts with yoga on the beach followed by a half day cycle tour of South Beach. The tour goes past the famous Versace mansion and filming locations from Scarface and Miami Vice, the movie and TV series that helped make Miami what it is today. You finish your day off by hitting the nightclubs or fancy restaurants that Miami is known for. The social life here revolves around parties and the beach, a match made in heaven. 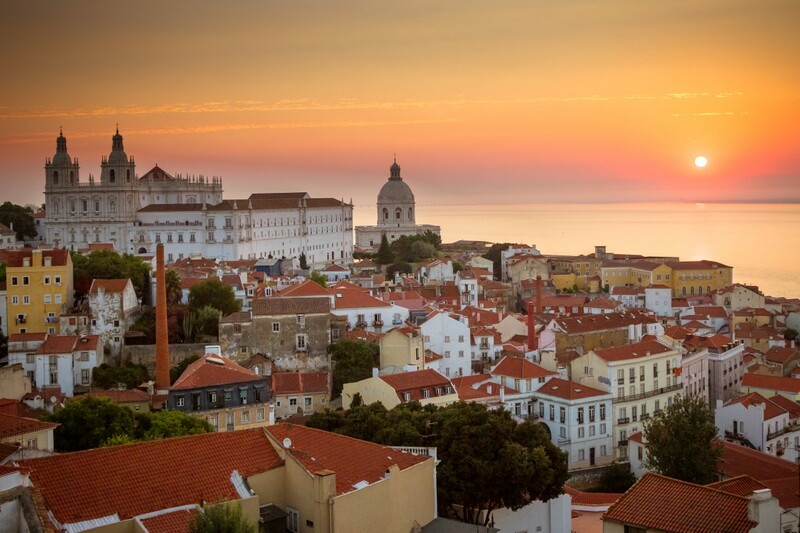 Lisbon is one of the world’s most underrated cities. The city is magnificently situated on hills that run down to the famous Tagus River. Around every corner you will find beautiful unexpected views of the town’s picturesque streets. The colourful city has an unpolished beauty that captivates you the moment you step off the plane. The city’s main beach is Tamariz, it’s their secret weapon for tourists. Europe’s largest casino, the Casino Lisboa is situated right on the edge of the beach. You can also see a beautiful castle that belongs to the royal family of Monaco from the beach. During the Second World War this coast was a haven for exiled royalty and European nobility, which is why the Casino and the Castle were built here. All Lisbonites are beach lovers, flocking to the sandy beaches of the city at every glimpse of sunlight. The beach can become somewhat crowded, but the atmosphere is amazing. During the summer months the beach turns into a club at night, where tanned bodies dance the night away. 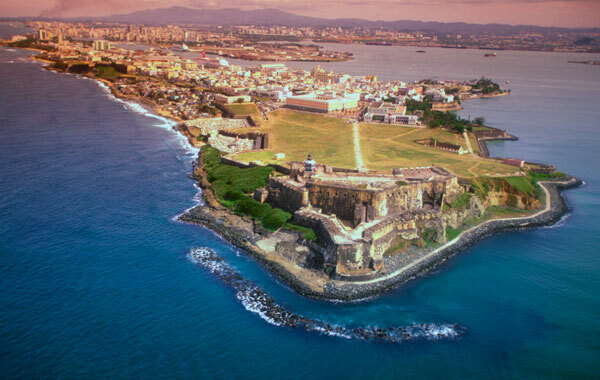 The city of San Juan is perhaps South America’s best kept secret. Although over 5 million tourists visit this city every year, only a few of them stray off the beaten track to experience the real soul of the city. 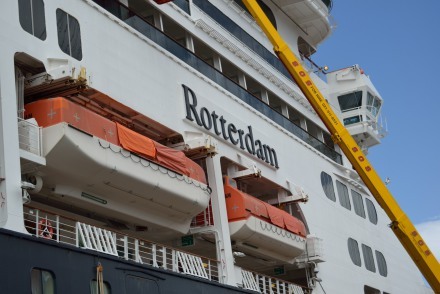 The cruise-ship port, swanky casinos and resorts are the main attraction for tourists, but the city has so much more to offer. White sandy beaches is what put Puerto Rico on the tourist map in the first place, with the capital San Juan having some of the best beaches in the Caribbean. San Juan’s two main beaches, El Escambrón and Isla Verde both have lifeguards on duty, bathing and changing rooms, and showers available. El Escambrón is protected by reefs and rock formations that rise out of the water. The beach is great for swimming and snorkelling with a restaurant and snack bar situated right next to the beach. Isla Verde is a huge expanse of white sand and tranquil waters where hundreds of tourists and locals come to relax on the golden brown sand. This beach is where it all happens. It has a similar atmosphere as the Copacabana in Rio, but it is a little more relaxed. Don’t get caught up in tourist traps like the casino and the resorts. Rather head to the beaches and local areas in San Juan, you’ll definitely have more fun in the sun! Istanbul is the only city in the world that straddles two continents. The Bosphorus strait divides the city in half and constitutes the boundary between Europe and Asia. 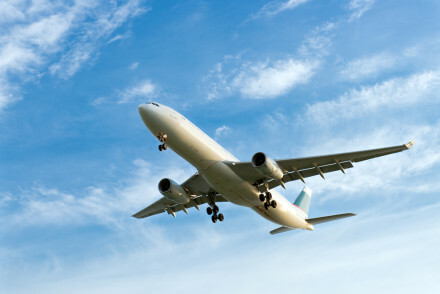 The city was named as the Top Travel Destination in 2014 by TripAdvisor, and National Geographic also named a culinary tour through Turkey and Istanbul as one of the Top 50 Travel Tours in the World. You might then ask if the country and city needs any more recognition. Well we say yes, the beaches around Istanbul are world class. You have around twenty beaches to choose from in Istanbul. Many of the beaches are resort beaches, but there are more than enough public beaches from which to choose. Burc beach, Nonstop beach, True Blue beach, Dalia beach and Golden beach are all beautiful beaches where you can engage in many different water based activities or just relax in the sun under an umbrella, while sipping a cocktail. Some might disagree with us naming Istanbul as one of the best beach cities in the world. Los Angeles with Venice Beach or Nice with its beautiful private beaches could have easily made this list, but Istanbul is more than just a beach city, it’s the whole package. Whether you do a cultural, religious, culinary or historical tour through Istanbul, you will be amazed by the beauty and history of the city. Having some world class beaches on two different continents and on two different seas, makes Istanbul a one of a kind city beach destination.